I was very excited when I heard that the owners of Picán in Oakland opened up PLāYT restaurant in downtown Hayward, which is just one stop down the freeway from where I live! Yay! 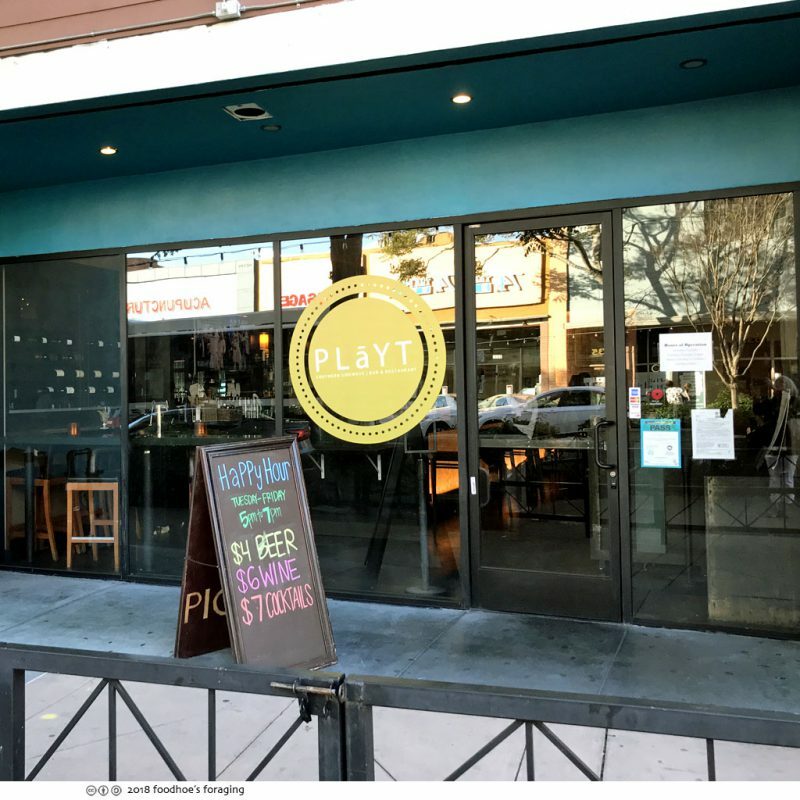 We love it when new restaurants open up in the area, which is just not at the same level of destination dining as Oakland… PLāYT quietly opened last June but has been fine tuning the menu which offers “Sideways Southern” comfort food and expertly crafted drinks. 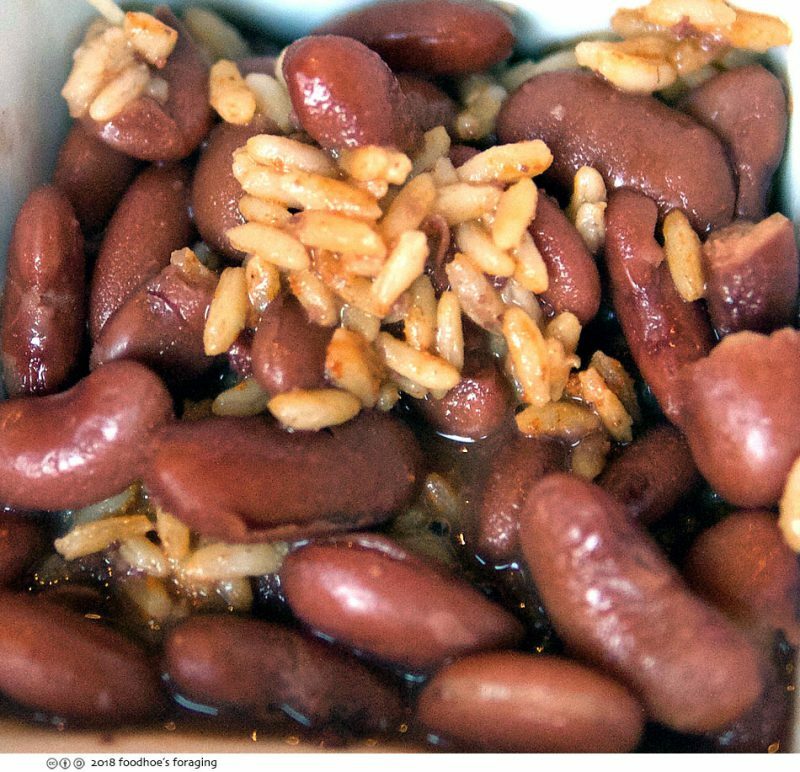 Executive Chef Jerome “Spike” Williams (also from Picán), has developed a menu that reflects Cajun, Creole, Gullah and similar influences which offers a touch of Mardi Gras for your palate and your soul. The interior maintains the sleek modern decor from the previous occupant, Bijou Restaurant, it is elegant and upscale, but they have done some serious upgrades in the kitchen with new fryers, a 16 burner flattop, convection ovens and new line fridges, so they are ready to crank out dishes for the masses. 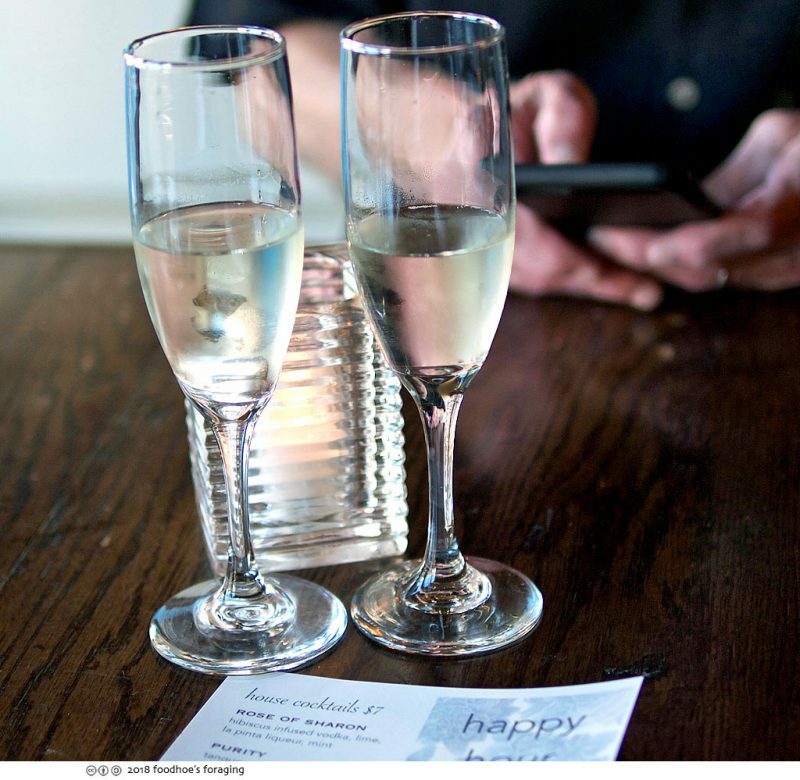 Mr. K and I enjoyed glasses of Prosecco while we perused the menu. 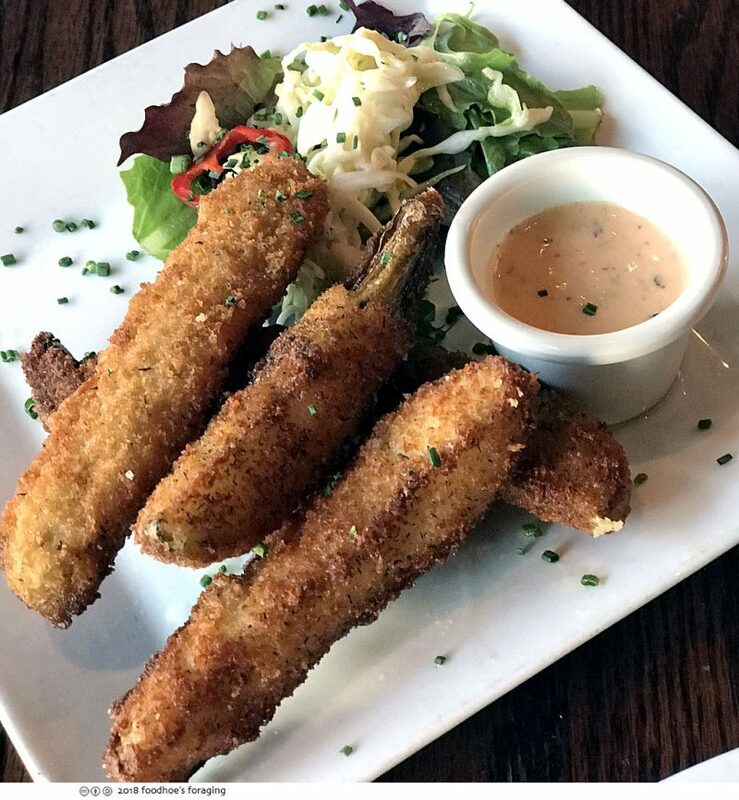 Our server Trevor dropped off an order of their heavenly Deep Fried Pickle Spears ($9) fresh from the fryer, served with spicy creole ranch sauce. He said it was one of his favorites, and I totally see why! 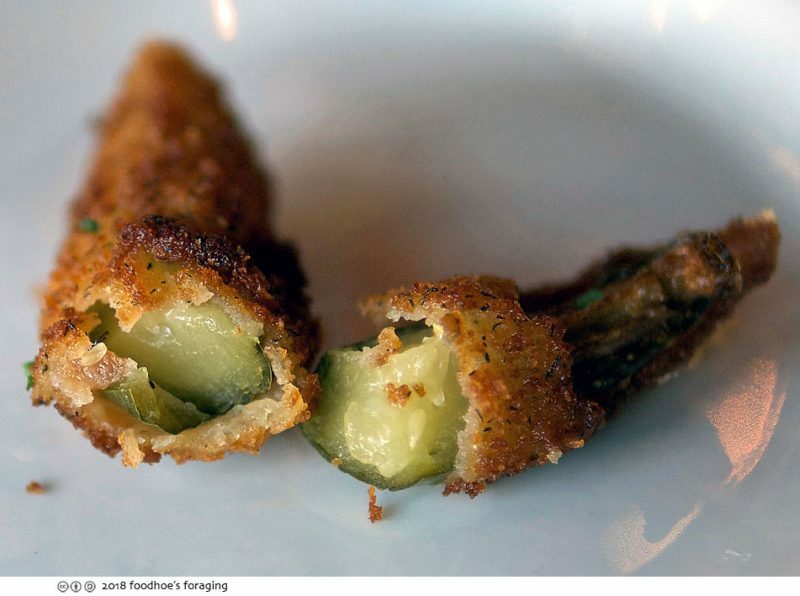 I love dill pickles and these have an excellent well seasoned and perfectly fried crust that is fantastic with the flavorful juicy acidity from the pickle and you really have to dip it into the spicy creamy sauce because it tastes so damn good! 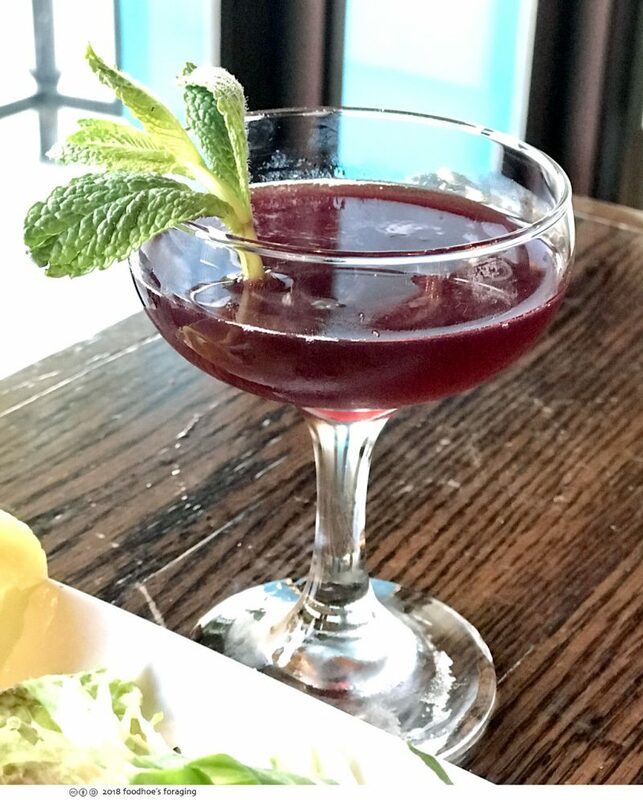 We got to try a couple of their signature cocktails, this is the Rose of Sharon ($7) made with hibiscus infused vodka, lime, la pinta liqueur (a pomegranate tequila), garnished with aromatic fresh mint leaves. Lovely bright flavors! 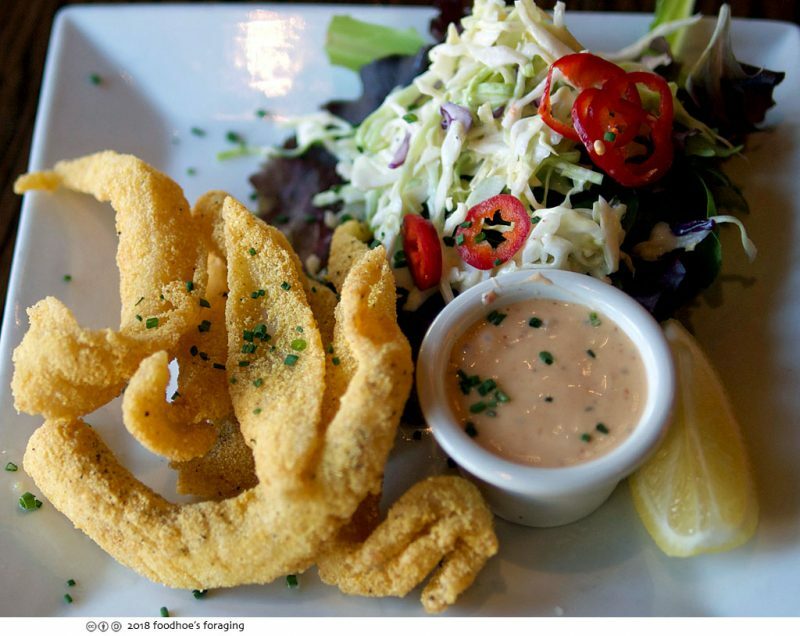 Trevor encouraged us to try the catfish, which he said is farmed locally and has a fresh clean flavor and tender flaky texture. We loved the Carolina Fish Fingers ($9.5) which had a wondrously crisp, savory cornmeal coating that we could not stop eating. The cornmeal had a satisfyingly crunchy texture with a lovely nutty flavor, and it was flat out addictive when dipped into the spicy and rich creole ranch sauce. 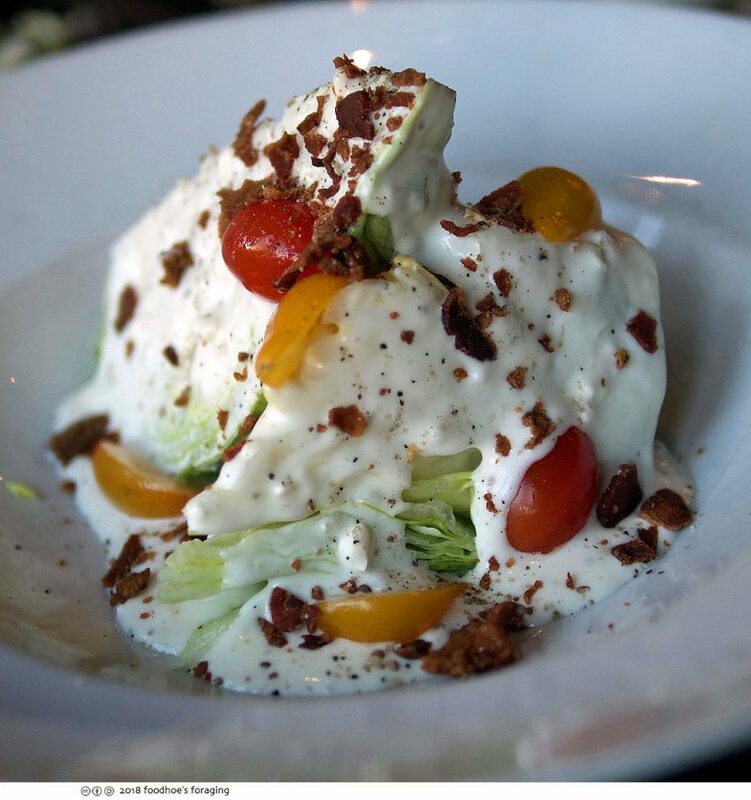 Mr. K always orders a wedge salad when he sees it on the menu, so we shared the Georgia Wedge ($10), iceberg lettuce, bacon, tomatoes and blue cheese dressing, a fine rendition. 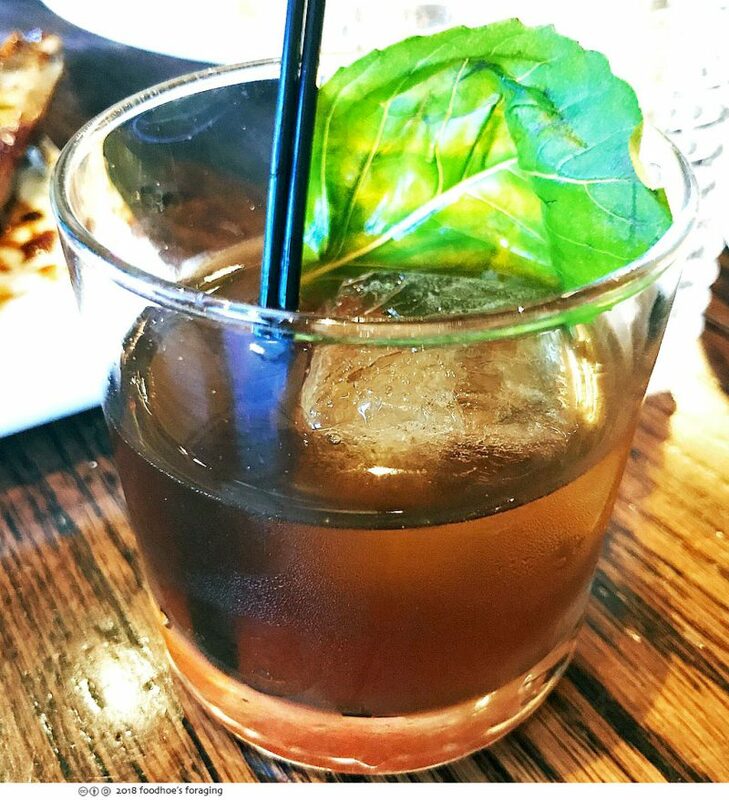 We sipped on the next cocktail called the Black Hand ($7), a grown up drink made with bourbon, garnished with fresh basil, balsamic syrup and ginger beer with a beautiful hand cut square of ice. 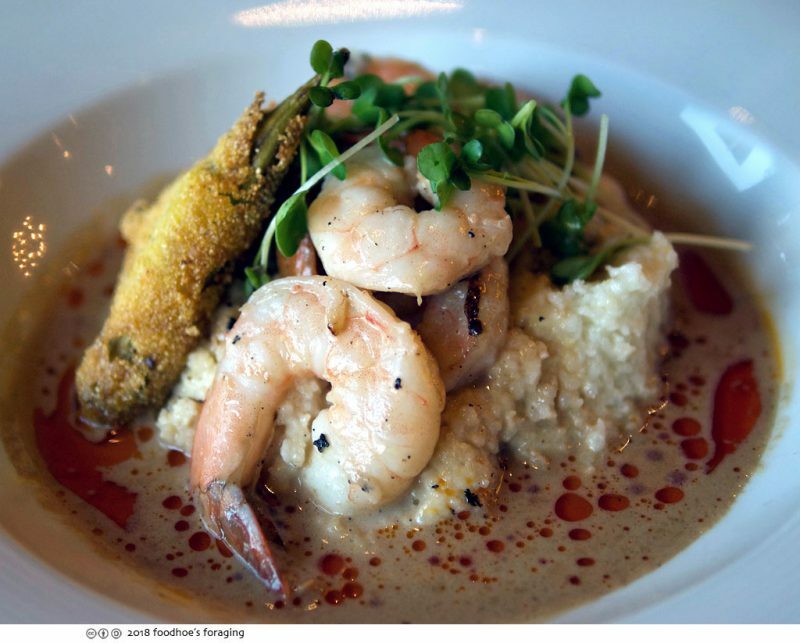 The Sideways Shrimp and Grits ($20) was served with an incredibly delicious brown butter worcestershire gravy which formed a moat around rich buttery stone ground grits and was garnished with fried okra which had the same fantastic cornmeal crust as the fish fingers. The shrimp were tender and succulent and so good dunked into the rich savory gravy along with spoonfuls of rich creamy grits. Get this dish! The St. Louis Rib Rack ($19) were exquisite. 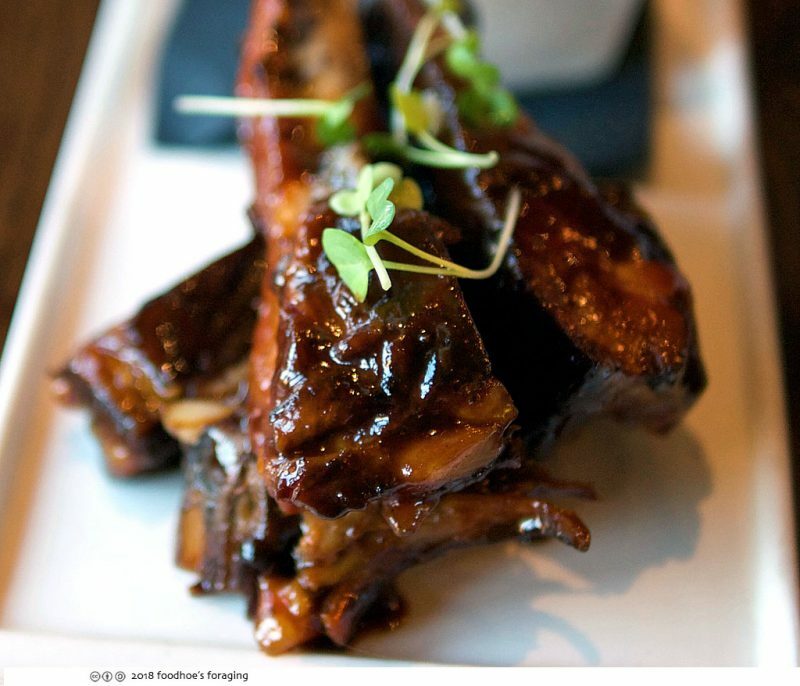 Smoked low and slow until they are fork tender and infused with a rich smoky flavor then coated with a sticky lip smacking sauce that is so good you have to pick up the ribs so that you can nibble every bit off the bone – and then you get to lick your fingers…. Never mind that we proclaimed we were too full for dessert, we destroyed Grandma’s Bread Pudding, which is their most popular dessert that Trevor said we needed to try. It comes topped with a scoop of ice cream, drizzled with caramel sauce, served over a puddle of chocolate sauce topped with beautiful dehydrated orange slices. The bread pudding is fried in butter with bourbon and has an incredible crunchy texture with caramelized edges surrounding a tender custardy interior that is absolutely wonderful. 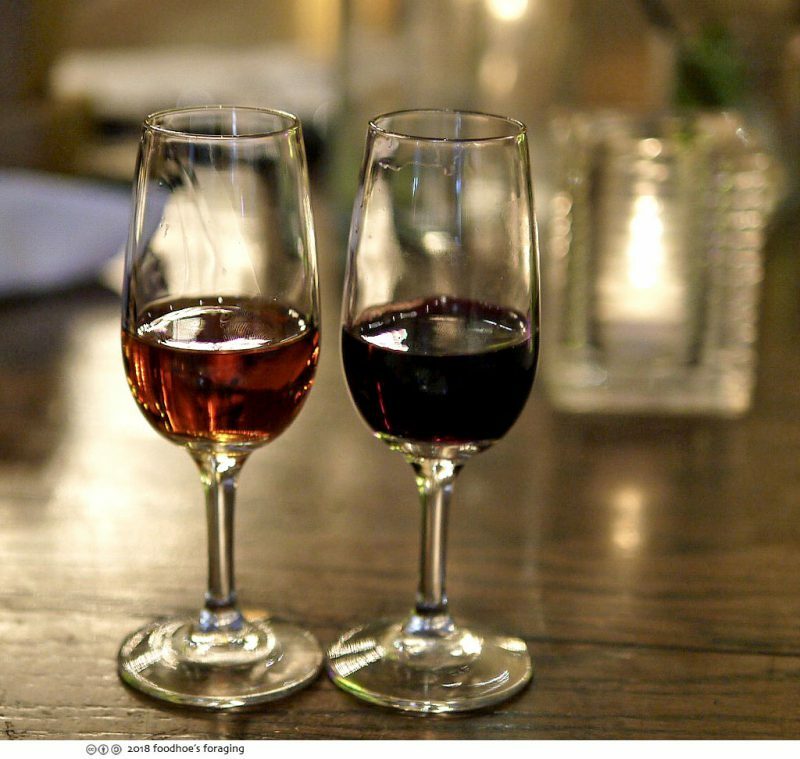 Served with lovely dessert wines, on the left was a late harvest tocai friuliano from Mendocino and a late harvest Zinfandel on the right. Both were fabulous with the bread pudding. I can’t wait to come back to explore the menu at PLāYT, because everything we tried was so good, the menu really offers elevated versions of southern classics that you just need to try and you’ll know what I’m talking about! 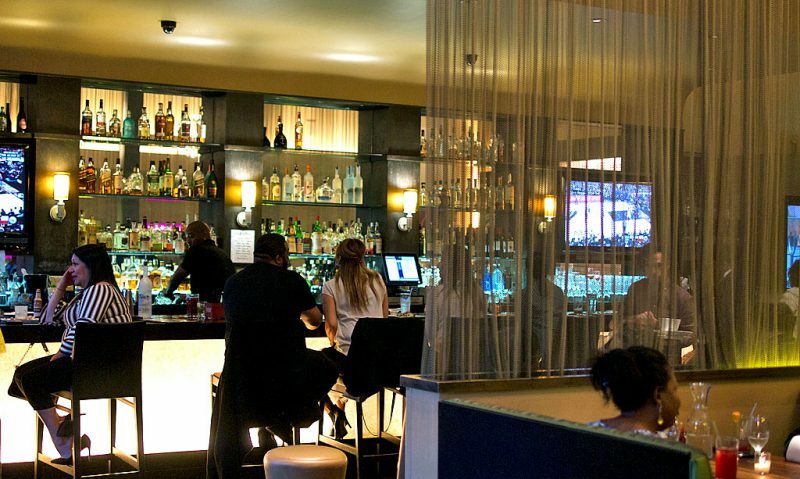 Love the sleek modern dining room, and the mardi gras hued lights echo the southern menu. Thanks PLāYT for a fabulous meal, we had a great time sampling your delicious menu and I am impatiently waiting for you to begin serving brunch on the weekends! 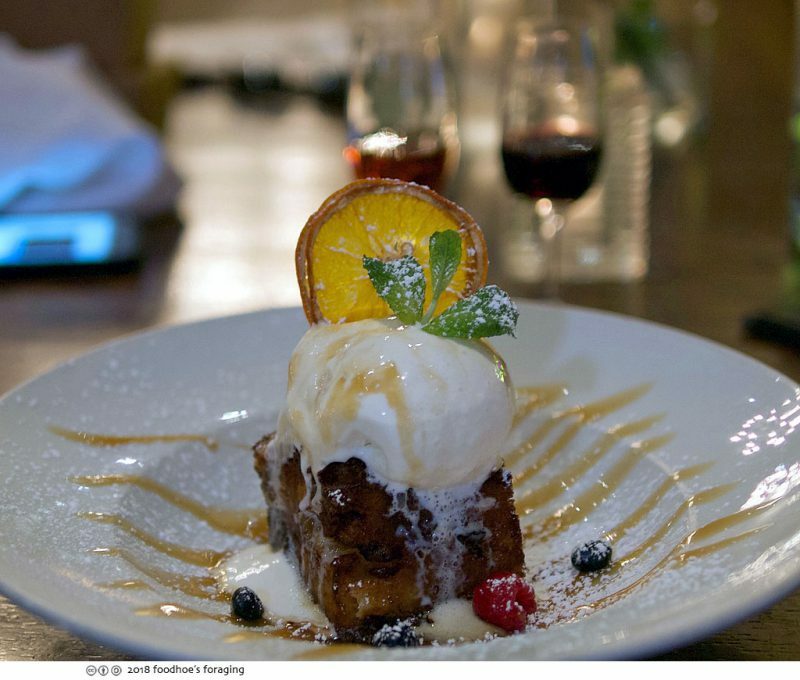 definitely never had a fried bread pudding…yum!